My husband loves cars! I do to a degree but he definitely has an appreciation for certain aspects of a vehicle. For example, years ago when he was purchasing his first sports car, he was torn between the BMW Z3 and the Honda S2000. While equally they both would be fun to drive with the top down and the ability to turn up the speed in seconds (my basic observations) the deciding factor for him was model introduction. He knew that the Z would be introducing a new redesigned model the following year while the S2000 had just debuted so he went with the latter. I'm glad he did. That little, bright yellow car gave us so many great memories riding down the Courtney Campbell Causeway at night in Florida with the top down while John Legend crooned in the background. It provided a few more memories in Atlanta before he eventually sold it replacing it with a few cars over the years including a company vehicle at one point to finally ending up with a sedan, a typical family car. My how times have changed!! Now with two kids and two cars with no monthly payments but high mileage, a new car will be on the horizon sooner than later, though we’re hoping later at least gets us through this year. In the meantime that hasn’t stopped us from perusing cars on Cars.com. Currently, our top pick is the Ford Explorer. It hits most of our metrics although the gas mileage (17 city, 24 highway) is slightly less than we would prefer it does have the flex fuel option available. 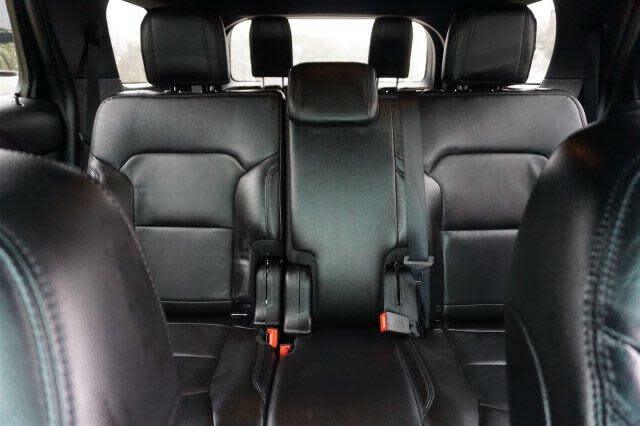 Its budget friendly, comes equipped with third row seating (for our kids AND their friends one day in the future) plus the options for navigation, rear view camera (have to protect the babies and other cars) and a sport package the hubs appreciates. There's also a few extras that we like as well such as bluetooth capability, smart device integration and leather seats. Most importantly, it has an overall five star safety rating! When you're transporting kids or anyone for that matter, you want piece of mind that you'll more than likely walk away from a crash with hopefully minor injuries should an collision occur. We really don't have a second or third option if for whatever reason, we’re unable to get the Explorer of our choice. But we know we could easily find one using Cars.com. With simple navigation and options from color, transmission type, brand, make and everything else in between, we’ll no doubt be able to find the car of our dreams or at least the ideal one for our family. What is your ideal family car and why?